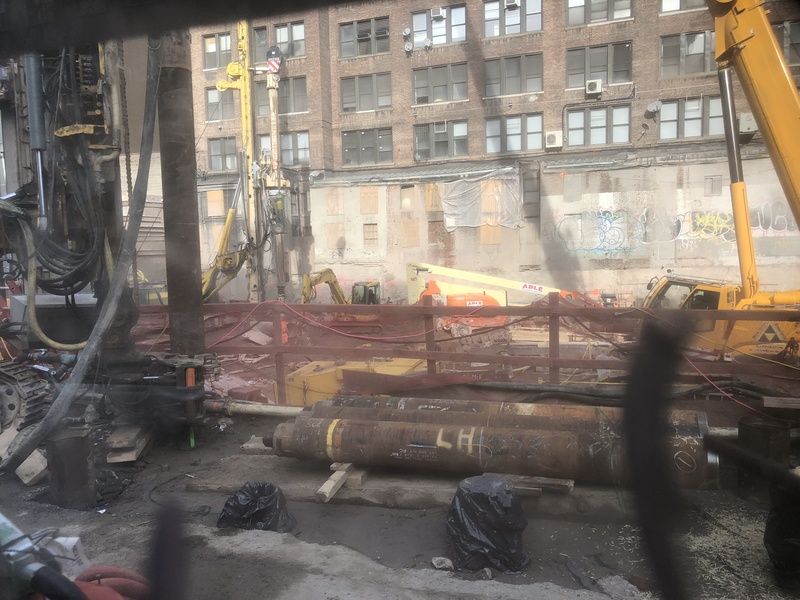 Caisson pilings and ongoing foundation work have been spotted for the site of 215 West 28th Street, on the northern edge of Chelsea. 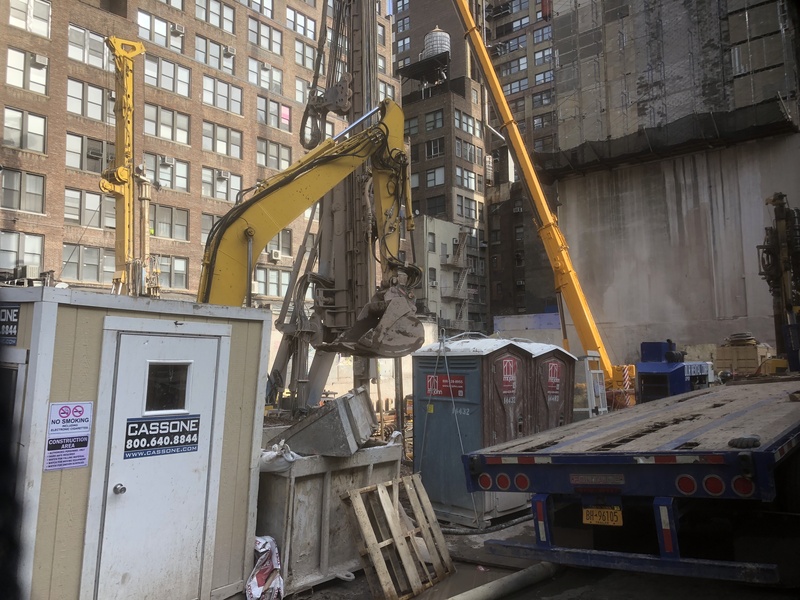 Dubbed, “HAP Eight,” the project is set to stand 20 floors and 210 feet when complete. Comprised of two adjoining buildings, the site is being designed by DXA Architects and developed by HAP investments. 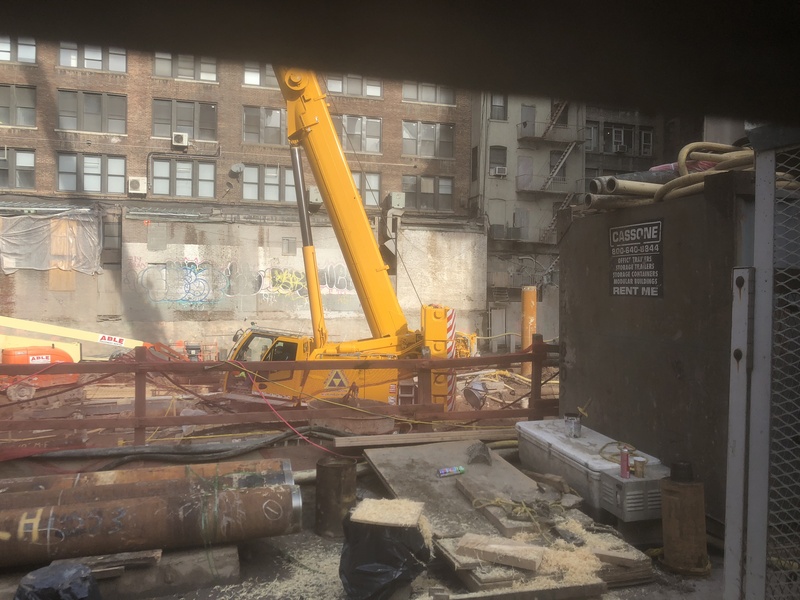 The lot sits directly to the north of The Fashion Institute of Technology, between Seventh and Eighth Avenues. 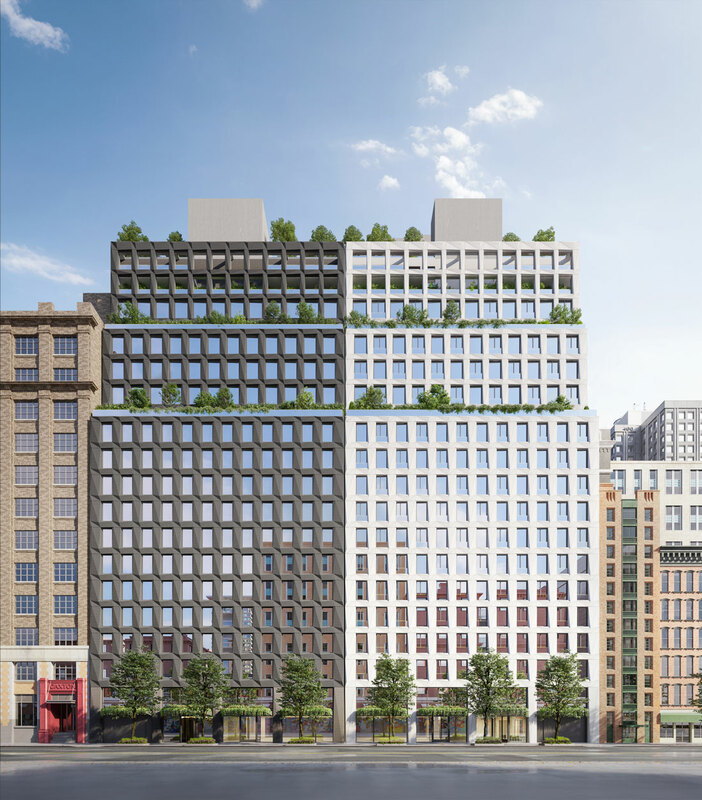 The nearly 300,000 square-foot project will consist of two separate buildings, one addressed as 215-219 West 28th Street, and the second addressed as 221-229 West 28th Street. Both components will incorporate an even grid of large square-shaped windows and two setbacks towards the upper half of each structure, culminating with a flat rooftop. The exterior panels in between the windows are sloped and sculpted, adding a play of shadow to the exterior envelope. The two buildings both carry this design pattern, but are individually distinguished by a light-colored and dark-colored palette. Landscaped setbacks will become the outdoor terraces for some of the residential units. Inside, plans call for 112 rental units and 87 condominiums, with amenities including a fitness center and spa, a rooftop deck, and bicycle storage. There have been a number of changes to the design of the towers, with several old schemes incorporating a cantilever over a neighboring tenement building. On the bottom floor, there will be about 20,000 square feet of retail space that spans both components of the new project. When completed, the sheer size and bulk of both buildings will make a modest impact on the neighbrohood compared to the old low-rise buildings that once stood on the site. Views of Madison Square Garden and Lower Manhattan can be seen from the future rooftop space. A completion date was previously set for 2019, but might be pushed to sometime towards the latter half of 2020.